Is the Kik App Safe for Kids? 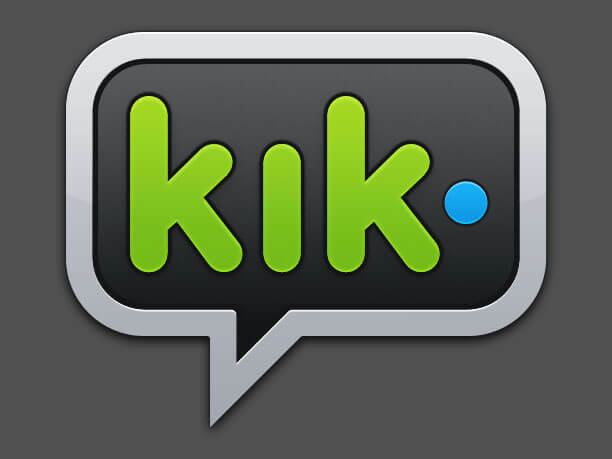 Description: Kik is a smartphone/tablet app for instant messaging. There are no message limits, character limits or fees if you only use the basic features. Most kids use Kik as an alternative to SMS text messaging (SMS is the “regular” texting done on a phone through the cell signal) due to its integration with other multimedia (YouTube, Photo Bucket, etc.) and other social media platforms (e.g., Instagram, Facebook, Twitter, Tumblr, etc.). People who use KiK are referred to as “Kiksters” and there are over 200 million Kik users. The site has no age verification, and due to the expectation that kids aren’t using it, the app does not have parental controls. What do parents need to know about the Kik app? Sub-apps are a problem. There are numerous “sub-apps” within Kik that should give parents concern, including a web browser, YouTube, image search, flirting apps, and even one called OinkText, which pairs users up with strangers, similar to Omegle. Conventional web filters you might download onto a mobile device don’t have any control over these capabilities within Kik. The greatest risk to your child’s safety and privacy is the ability to invite people via social networks. With the click of a button, a child can reach out to the public communities on Facebook, Twitter, Instagram, Tumblr and others with the message “Kik me”. This begins a new instant message conversation between the sender and the recipient, whoever they may be, making it a perfect place for individuals with bad intent to troll for unsuspecting victims. Recently, Kik made it so pictures need to be “tapped” in order to be seen, instead of simply showing up on the screen. Ads are everywhere. Kik specializes in “promoted chats” – basically, conversations between brands and users, and also thrives on in-app purchases. Monitoring is limited. For both Apple and Android devices, monitoring is VERY limited. Bark is one of the only services that digs too far into Kik if you child is using it. In the end, because Kik does not intend for kids under 13 to be using it, and there are really no parental controls. They are out of town. A significant law-enforcement issue with Kik is that it’s a Canada-based company, making it difficult and slow for US-based authorities to pursue inappropriate activity. Finally, there are no records for parents to review and chats are easily deleted. Predator activity is rampant. The app has a reputation of having a significant number of predators prowling the app. Based on our own conversations with law enforcement, predatory activity is still an issue. A recent story of a West Michigan teen lured to Iowa through the app shows how parents really need to be very involved in how their kids are using technology. Kik app parent bottom line – is the app safe for my kid? As a general rule, if an app cannot be easily monitored, parents may want to consider whether it’s appropriate for middle school students. Additionally, since it is classified as social media, we recommend that you follow Apple’s age recommendation of 17+. Parents should take extreme caution when deciding if their young kids should use this app based on the risks noted. Are you interested in having greater insight into the social media platforms that your kids are using? Bark is one of the best platforms we’ve tested. They’re constantly looking for ways to dig further into social media apps, allowing kids to use them while only alerting parents when necessary. We trust them and we think you should, too!